This article will help you troubleshoot E-mail problems on your Android phone, whether you are unable to send E-mails or to receive them. Only continue reading if you are unable to send or receive E-mails on your Android device and if you use any of the following E-mail types: POP3, IMAP and corporate account. Before starting the E-mail troubleshooting, you need to verify your internet connection. To do so, you can check the data coverage indicator, look at the flight mode option and make sure it is deactivated, power cycle your phone (turn it of and then on again), look at the network icon and if there is none check with your carrier to verify the coverage. If all these indicate that you have an internet connection continue with the steps below. Verify if there is another device that is configured to receive Emails. Check your login credentials on a browser on your device. 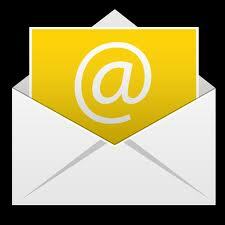 Check to see if messages get sent from the webmail. Send a test message. Send again a test message but this time from your mobile device and see if it got sent. If you Email still doesn’t send or receive messages, see below the instructions to reset the Email application. Verify your account’s login credentials. Look in Email settings and check if sync is enabled. Verify the sync settings and make sure they are correct. Turn the device off and on again. If your Email account still doesn’t work proceed further with the instructions below. First now that this will reset all email accounts and delete all data for email accounts on your phone. Go to Menu > Settings > Applications > Manage Applications > All. Go down to Email. Select it and click on Clear Data. This will remove all data from the email app. When the clear is done re-enter your account information. This should fix your Email account. If none of the instructions above worked for your phone, then contact your company’s IT department to verify the Email accounts.